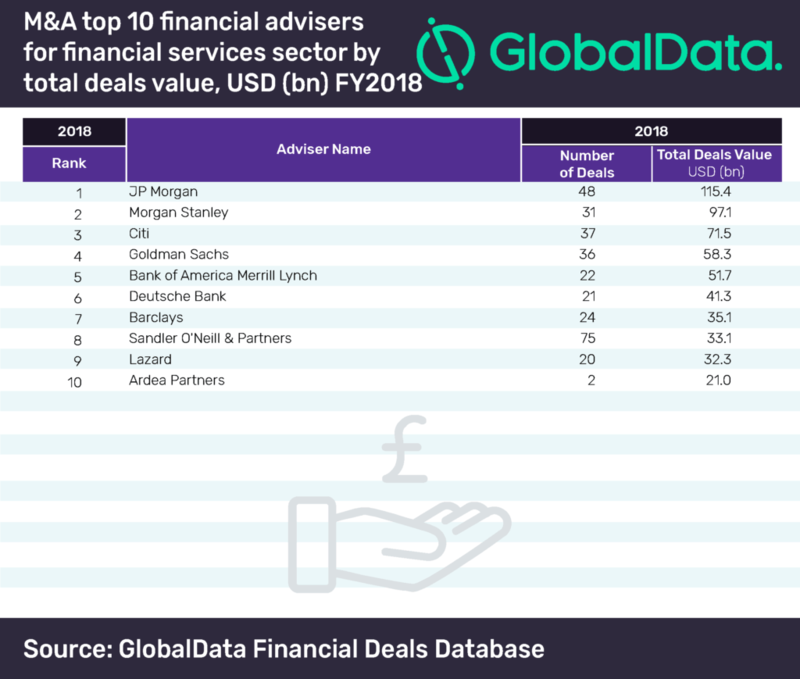 JP Morgan has topped the latest M&A league table of the top 10 financial advisers in the financial services sector for FY2018, compiled by GlobalData, a leading data analytics company. According to GlobalData, which tracks all merger and acquisition, private equity/venture capital and asset transaction activity around the world to compile the league table, Morgan Stanley and Citi came in second and third, advising on deals worth a total of $97.1bn and $71.5bn, respectively. The financial services sector saw an impressive overall rise of more than 41.37% in value from $262.8bn in 2017 to $371.5bn in 2018. Volumes too complemented with a growth of 21.26% from 2,667 in 2017 to 3,234 in 2018. JP Morgan, which topped the financial services league table of M&A financial advisers, was ranked second in the global league table of top 20 M&A financial advisers released by GlobalData recently. 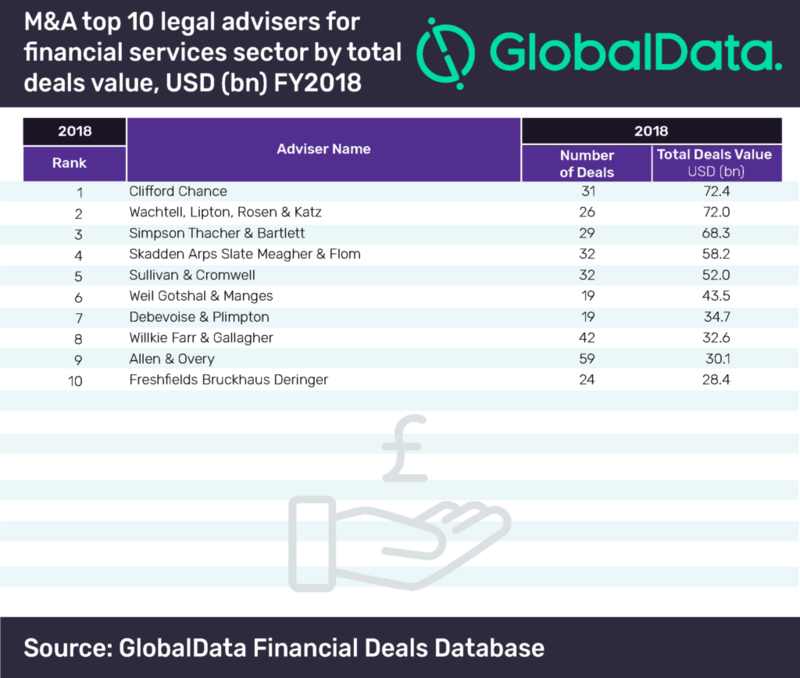 London-based Clifford Chance led the top 10 legal advisers table for FY2018 with a value of $72.4bn through 31 deals—28 less than Allen & Overy, the table’s highest deal-maker in terms of volume. Wachtell, Lipton, Rosen & Katz stood a close second with $72bn through 26 deals. In the global league table of top 20 legal advisers, Clifford Chance was ranked 19. The global league table was led by Skadden Arps Slate Meagher & Flom.